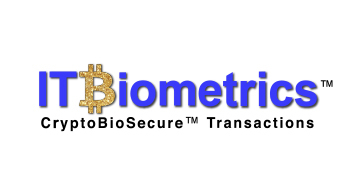 ITBiometrics™ has created the CryptoBioSecure™ Fingerprint Hardware Wallet for cryptocurrency transactions. With the most technologically advanced portable fingerprint reader in the world, and concurrent multi-stream military-grade encryption, our wallet is simple to use, and offers maximum security. CryptoBioSecure™ biometric authentication completely eliminates passwords and has many future uses in Blockchain, Fintech and IT where secure access is critical.